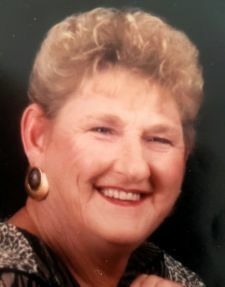 Doris Marie Lawrence Welborn, age 78 passed away late Friday evening, April 5, 2019 at Jacob’s Creek Nursing Center. A graveside funeral service will be held at 2pm on Friday, April 12, 2019 at Roselawn Memorial Gardens. There will not be a formal visitation but Mrs. Welborn will lie in state at Fair Funeral Home for people to pay their respects Wednesday, April 9, 2019 until the time of her service. Mrs. Welborn was born on August 25, 1940 in Winston-Salem, North Carolina to the late Robert Lawrence and Maude Miller Brady. She was of the Christian faith. Because of declining health, she took early retirement with Miller Brewery Company after 18 years of faithful service. Doris enjoyed making crafts and sewing in her spare time. She will be greatly missed by all that knew her. Doris is survived by her three children, James R. Oliver and wife, Amy Jo “Jody” of Stoneville, NC, Patsy M. Rivers and fiancé, Alan Young of Lakeland, FL, and Danny L. Oliver and Brenda of Stokesdale, NC; four grandchildren, Joshua Robert Oliver of Southport Beach, NC, Monica Rivers of Tampa, FL, Heaven Leigh-Ann Harrah and husband, Richard of WV and Robert Rivers and wife, Shannon of Orlando, FL; several great-grand-children; nieces and nephews, special niece, Sarah Gordon, of Illinois; and extended family in the states of Illinois and Connecticut. Along with her parents, Doris is preceded in death by her husband, Robert E. Welborn; three brothers, Junior, Willis and James Lawrence; three sisters, Delilah Davis, Virginia Davis, and Rachael Materas; and her two furry four legged companions, Toto and Jenny.